Jesus’ agenda was always discipleship. His vision for the church is to make disciples. Everything we do and say within ministry begins and ends with where we are at in Christ. As mentors and as followers of Christ – our main focus and responsibility must be found in listening to what God is saying to us. As ministry leaders, we constantly have people coming to us for advice, wisdom, and direction. Are we feeding them great moral knowledge or are we speaking the truth and love of Jesus into their lives? As leaders, we must be slow to speak, quick to listen, and always praying! How are you in terms of invitation and challenge? 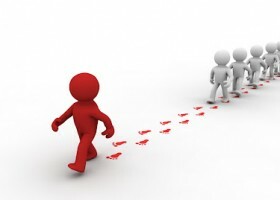 Here are a few evaluation questions: Are the people I’m leading too cozy? If so, what are the first steps of challenge that I need to begin to introduce? Are the people I’m leading too stressed? If so, what steps can I take to add invitation into these relationships? The invitation from Jesus is not to become a Christian; instead it is about becoming a disciple! Jesus’ invitation was a call to enter into a relationship with Him. His challenge was to go and make disciples of all nations. Do the way you live your life and the way we carry out our ministry reflect the way Jesus did ministry? In Matthew 16:13-28 we see the idea of invitation and challenge laid out very clearly through the life of Peter. Jesus begins by asking Peter, ‘Who do you say I am?’ He goes on to invite Peter into this incredible opportunity of leadership. Jesus never missed the power of a challenge! I believe we have done a very good job at the invitation piece within ministry, but many of us struggle with the challenge aspect. My prayer is that we are not only inviting people into community, but also challenging them to live out a deep relationship with Christ. For some of us, that change must start right here and right now! We cannot change and impact those around us if we ourselves are not in a growing relationship with Christ! What are you doing to become more like Christ on a daily, weekly, monthly basis? Does your life reflect more of who Christ is today than it did a few weeks or months ago? For the most part, the people within our church will struggle to pass our spiritual threshold. In other words, as leaders and mentors, we help set the ceiling of spiritual formation and discipleship within the ministry! If we are not doing everything we can to grow closer to Christ on a daily basis, then why would our students ever see the need to? Let me wrap up with this question… Do you have a life worth imitating? Is there somebody that will succeed me and do something even greater than I have done? Who is your Timothy? Are we passing on the character and competency of Christ? We must realize there is more at stake than just an increase in numbers! 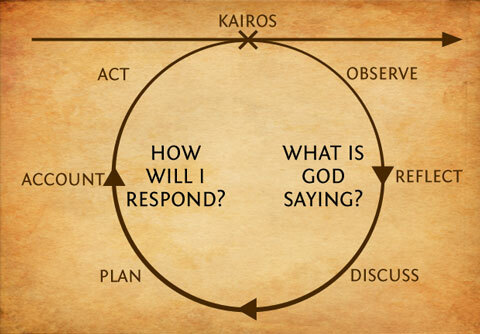 For more on how to build a discipling culture head to www.weare3d.com, where you will find these diagrams and much more!